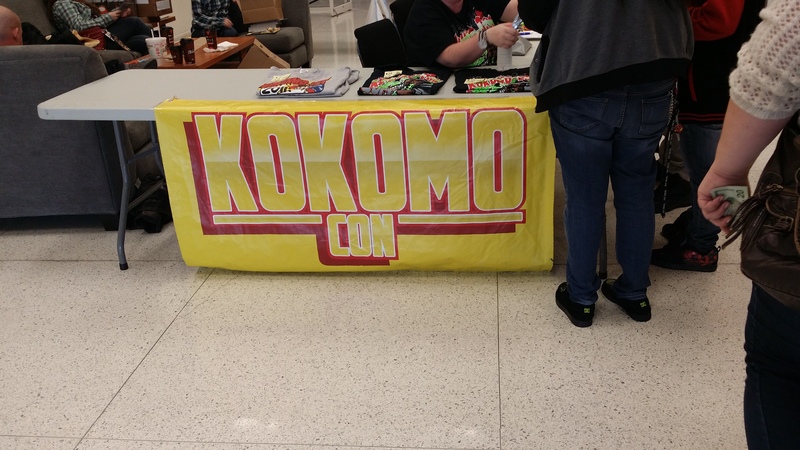 Every year, I’ve thought about heading up to Kokomo to check out KokomoCon, yet something always comes up. Family obligations, work, or just the fact that gas costs money has kept me from their show since I really starting writing and promoting events in Indiana. Sure, it’s been getting shout outs from me, probably since before I had Tuesday Tidbits happening, but I’ve never had a chance to head up and actually visit. This year seemed like it was going to be the same, until my little brother asked me if I wanted to head up on Saturday. I figured it would be fun, so after he finished with his part-time job, we hopped in the Cardis and drove north through the 31 construction to Kokomo. We got to the center around noon-ish and paid our $10 admission fee to the show. See, I don’t beg for press passes for everything! We popped into the center and were pleasantly surprised by the size of the event. It wasn’t huge, it wasn’t tiny, but it was a good size for the crowd. Walking around, I saw many people that I’ve grown used to seeing at a decent-sized convention in Indiana. Booths held folks like Fiberglass Freaks, who were there with their ’66 Batmobile. The 501st & Rebel Legion (Star Wars Indiana) had booth space and had their Blast a Trooper set up, raising money for charity. 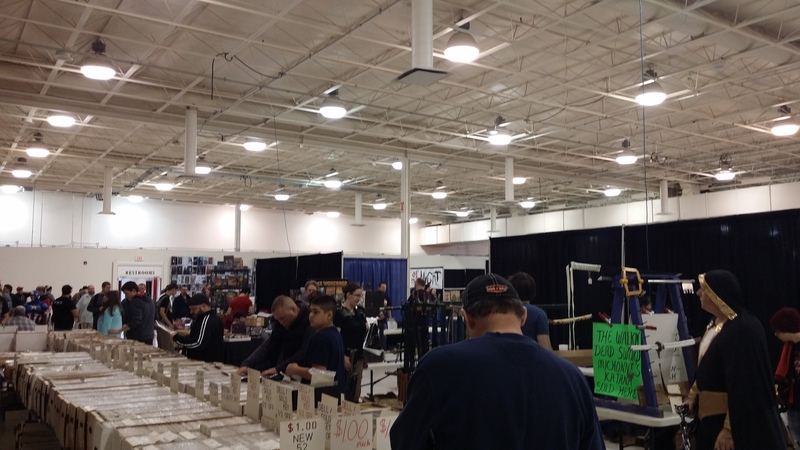 They also had a good mix of toy booths, comic book dealers, and general collectible dealers. 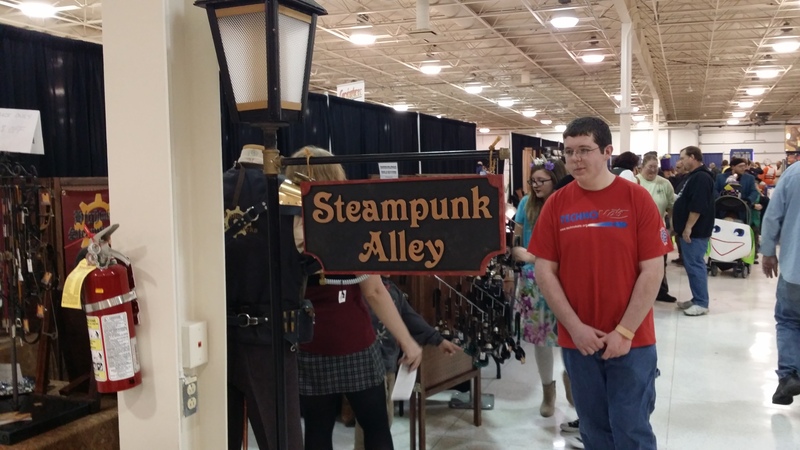 Heck, they even had a “Steampunk Alley” where you could get all of your Victorian Gear goodness. 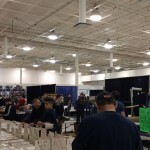 In addition to dealers, they also had a good number of artists and craftspeople vending, with their original art, comic books, and jewelry. 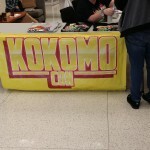 The upcoming Giant Con also had a booth, as well as derby girls, and other cool things from around Kokomo. 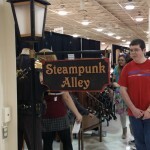 Even though I wasn’t there as “Geeking in Indiana” that day, I still looked around, and tried to get a feeling of the place so my readers know what it’s like. Overall, I was fairly impressed with what they had put together. Sure, it’s not as polished as something like Gen Con, but not everything needs to be, nor has the budget to be. Instead, it was a solid little show, that was worth the price of admission in order to check out everything that was happening, plus seeing some of the friends I’ve made while running this little blog. Next year, I hope that I’ll be able to visit all day to really check it out, and get a feel for everything that was going on. Tomorrow, I’ll show you one of the reasons why I had to leave the con early! This is my third year and I enjoy the low key atmosphere of the con and the friendly staff.The $501 in cosplay prides (along with trophies and medals) certainly ramped up the local competition from the previous years. It was good to spend some time with people I have met elsewhere.